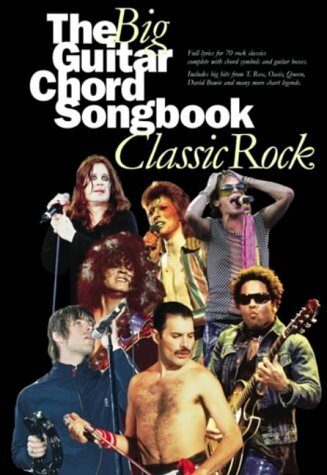 Guitar Jar Magazine Shop are proud to offer the fantastic The Big Guitar Chord Songbook: Classic Rock. With so many on offer today, it is good to have a brand you can recognise. The The Big Guitar Chord Songbook: Classic Rock is certainly that and will be a perfect acquisition. For this reduced price, the The Big Guitar Chord Songbook: Classic Rock is highly recommended and is a regular choice with most people. Music Sales Ltd have added some nice touches and this results in good value for money. All your favourite classic rock hits arranged in the original keys from the actual hit recordings. Complete with full lyrics, chord symbols, guitar boxes and playing guide. Includes big hits from T.Rex, Oasis, Queen, David Bowie and many other chart legends.